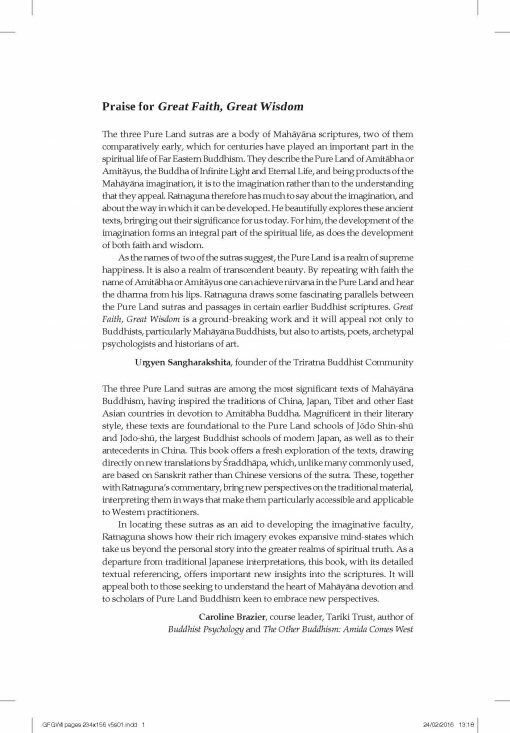 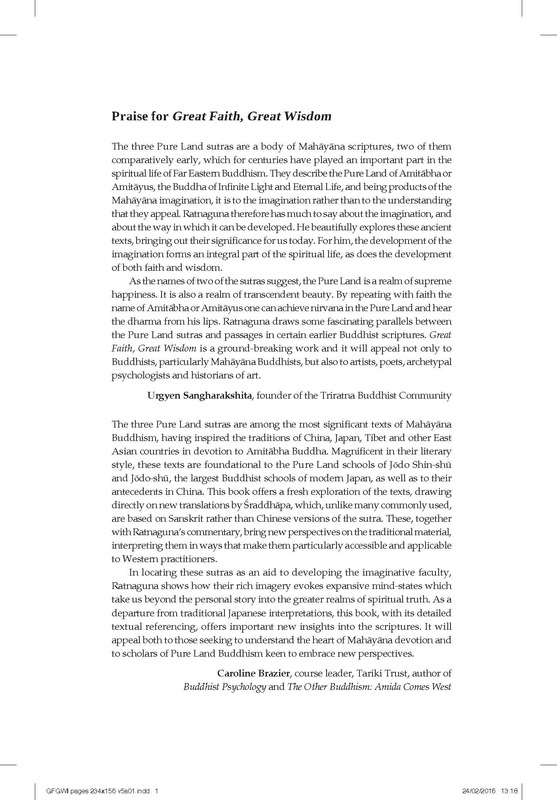 The three Pure Land Sutras are a body of Mayahana scriptures that for centuries have played an important part in the spiritual life of East Asian Buddhists. 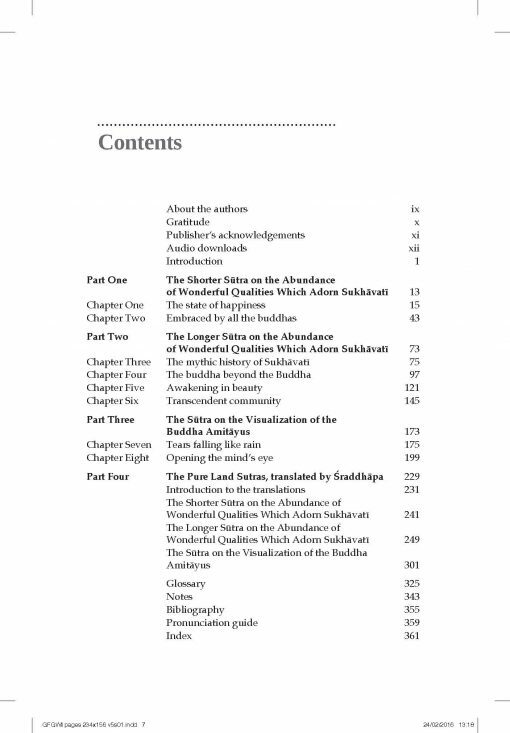 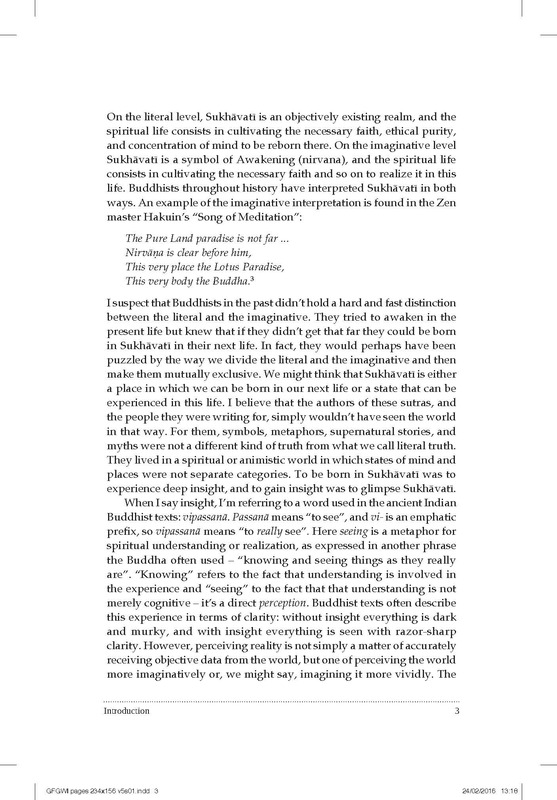 These texts describe Sukhavati, the archetypal ‘land of bliss’ presided over by Amitabha or Amitayus, the Buddha of Infinite Life and Eternal Life. 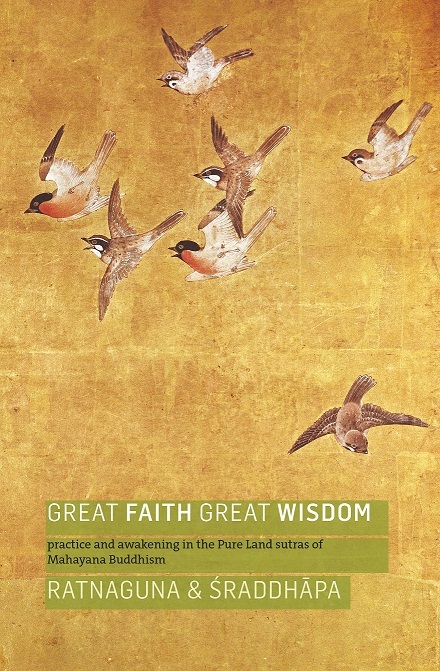 These Buddhist texts – both ancient and perennial – put forward a path of faith and grace, as well as effort and practice. 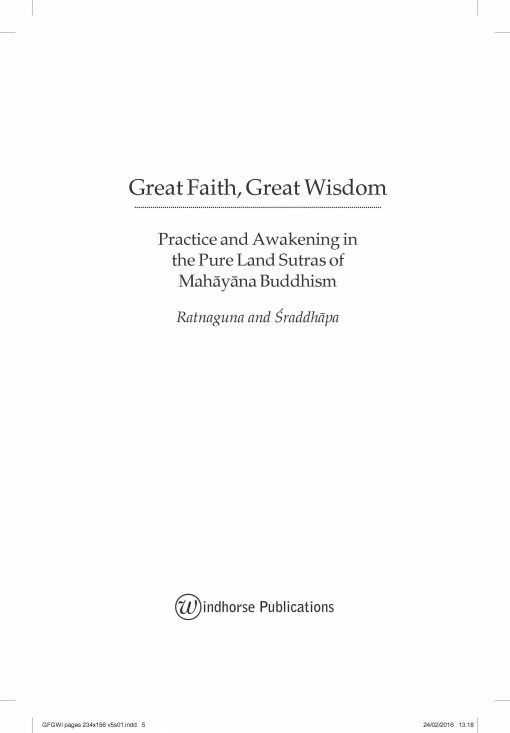 Using a practical and imaginative approach, Ratnaguna explores the main themes of the sutras, which are expressed through myth and magical imagery. 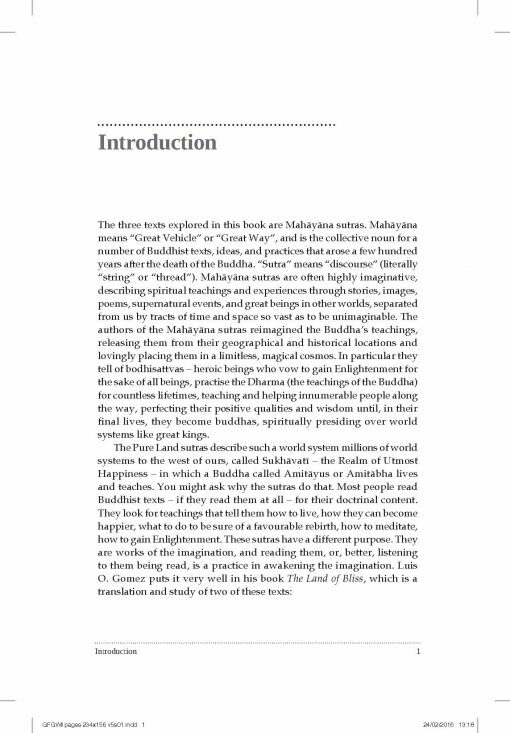 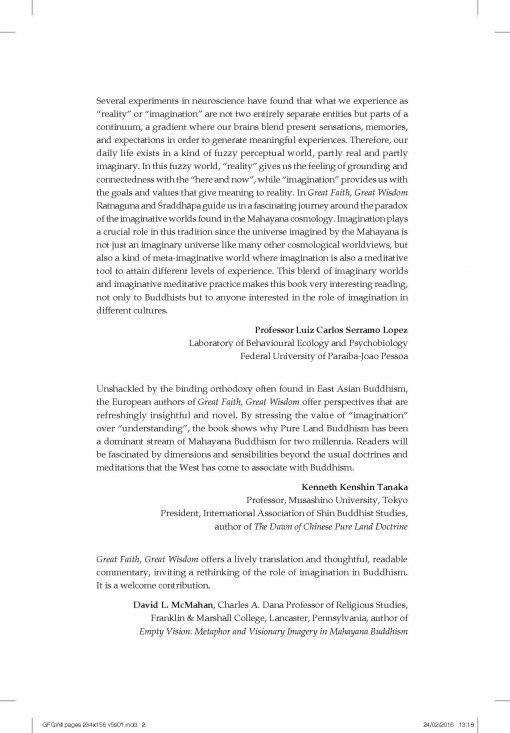 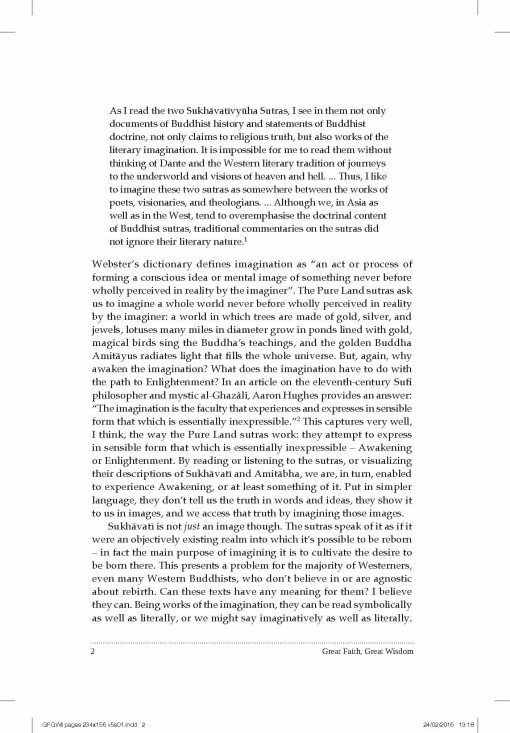 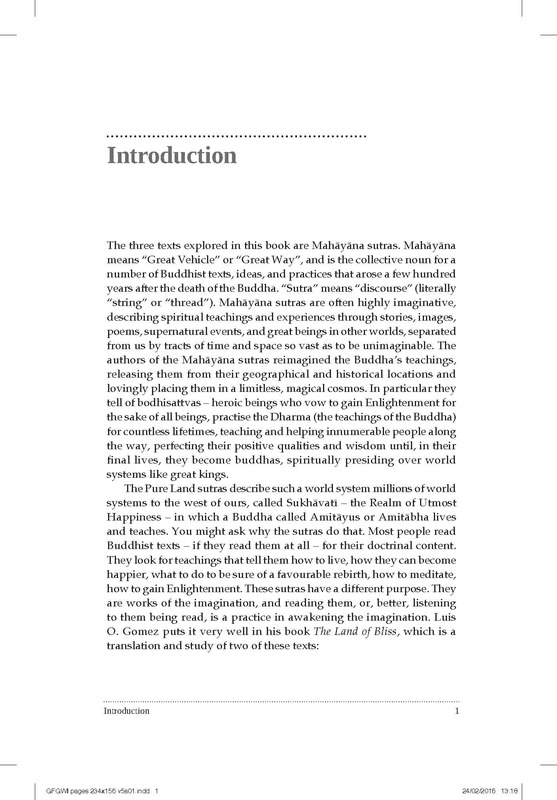 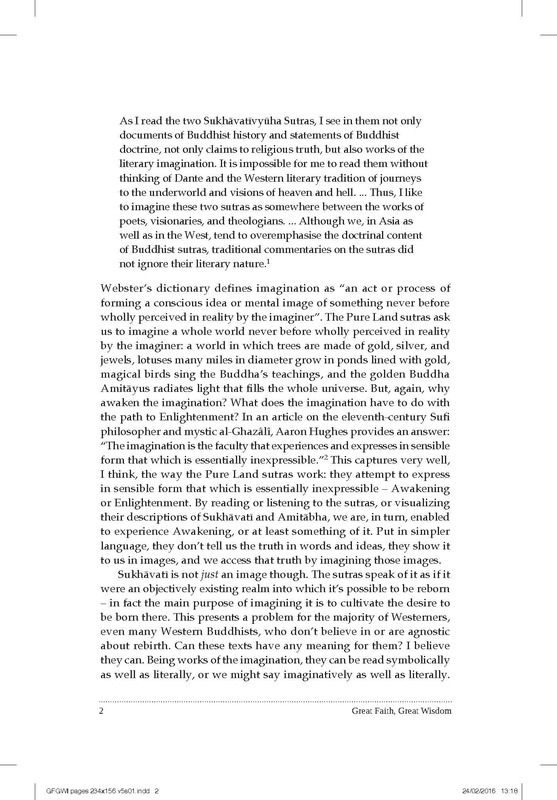 This book will appeal to both practising Buddhists – whether from the East Asian Pure Land traditions or not – and anyone interested in Buddhism from a practical point of view.